In the middle of heightened tensions between the United States and Russia, as well as the North Korea crisis, the world could be forgiven for missing the return of two NASA astronauts and one Russian cosmonaut from the International Space Station (ISS). Peggy Whitson broke the record for the longest time in space for a U.S. astronaut. Expedition 52 Commander Fyodor Yurchikhin of Roscosmos and Flight Engineers Peggy Whitson and Jack Fischer of NASA landed safely near the town of Dzhezkazgan, Kazakhstan Sept. 3 after bidding farewell to their colleagues on the complex and undocking their Soyuz MS-04 spacecraft from the Poisk Module on the International Space Station. The landing marked the first time since Nov. 26, 2010 that two NASA astronauts returned to Earth in a Russian Soyuz spacecraft. 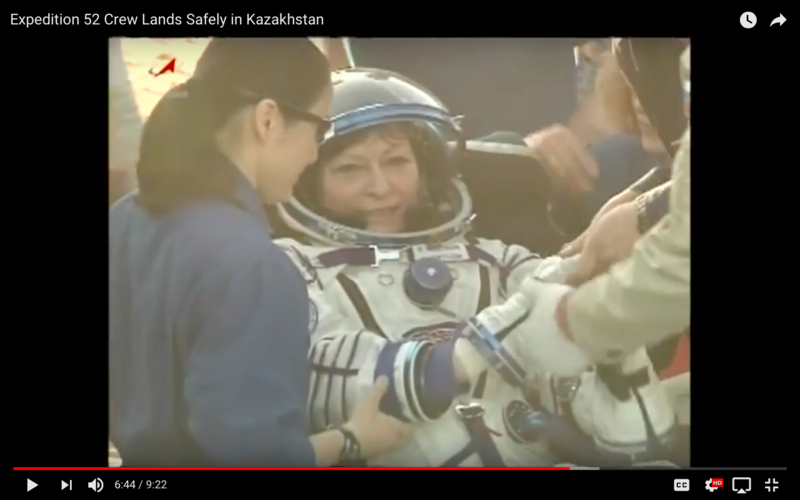 Whitson, who has logged more days in space than any other U.S. astronaut, completed a 10-month mission, her third long duration flight, while Yurchikhin and Fischer completed 136 days in space, wrote NASA.